Forced Marriage to Be Criminalised; Will It Drive the Practice Underground? British Prime Minister David Cameron and the Home Secretary, Theresa May, have announced plans to make forced marriage a crime. The Home Office, reported The Telegraph, said it dealt with about 120 cases a month; the real figure is thought to be five times that amount. Social workers and other officials will be trained to spot the practice and move to stop it. 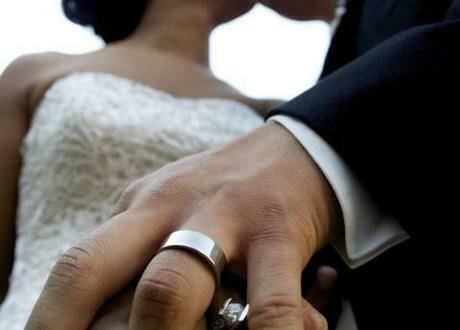 Brides will be allowed to decide whether their parents should be prosecuted, and the law will distinguish between forced marriage and arranged marriage. A similar law exists in Scotland, reported the BBC. The Forced Marriage Unit says that 78 percent of victims are women; 56 percent involved people with learning disabilities; 10 percent were gay or lesbian. Hitheroto there have been “forced marriage orders” in civil courts, rather than it being a criminal offense. Some say that it will drive the practice underground; but most welcome it. “Forced marriage is abhorrent and is little more than slavery. To force anyone into marriage against their will is simply wrong and that is why we have taken decisive action to make it illegal,” said David Cameron. Mandy Sanghera, who advises the government on forced marriage, said it was imperative that a loophole be closed which allows people without the capacity to consent to marriage to act on visa forms. Opponents, reported the BBC, worry that people will be afraid of coming forwards for fear of criminalising their families.